Letter Board Just $21.99! Down From $65! PLUS FREE Shipping! You are here: Home / Great Deals / Letter Board Just $21.99! Down From $65! PLUS FREE Shipping! For a limited time only! 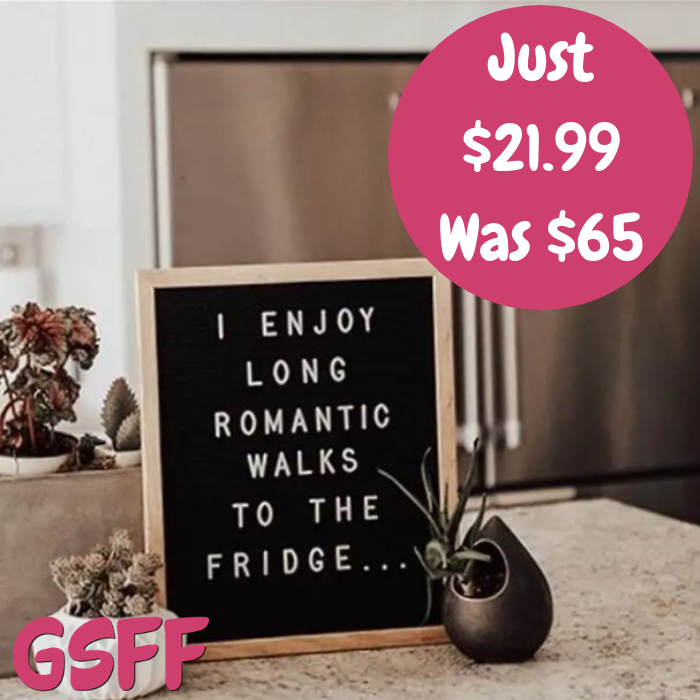 At Jane, you can score this Letter Board for just $21.99 down from $65 PLUS FREE shipping! DIM – 13″x16″x1″ WT – 3lbs.